Being a HUGE geek when it comes to Game of Thrones and the A Song of Ice and Fire novels, I took it upon myself to recreate these beautiful objects from scratch as I first imagined them when reading the novels for the very first time. 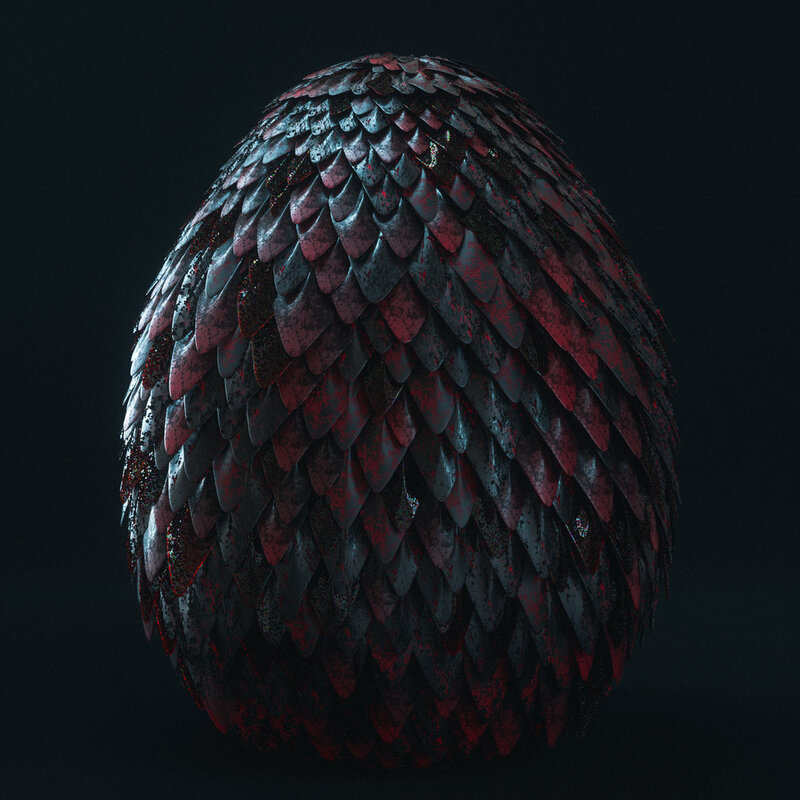 I loved the detailed descriptions of of Dany's dragon eggs as described by the books and couldn't help feel that their depiction in the TV series didn't do them justice. "Dany gasped. They were the most beautiful things she had ever seen, each different than the others, patterned in such rich colors that at first she thought they were crusted with jewels, and so large it took both of her hands to hold one. She lifted it delicately, expecting that it would be made of some fine porcelain or delicate enamel, or even blown glass, but it was much heavier than that, as if it were all of solid stone. The surface of the shell was covered with tiny scales, and as she turned the egg between her fingers, they shimmered like polished metal in the light of the setting sun. 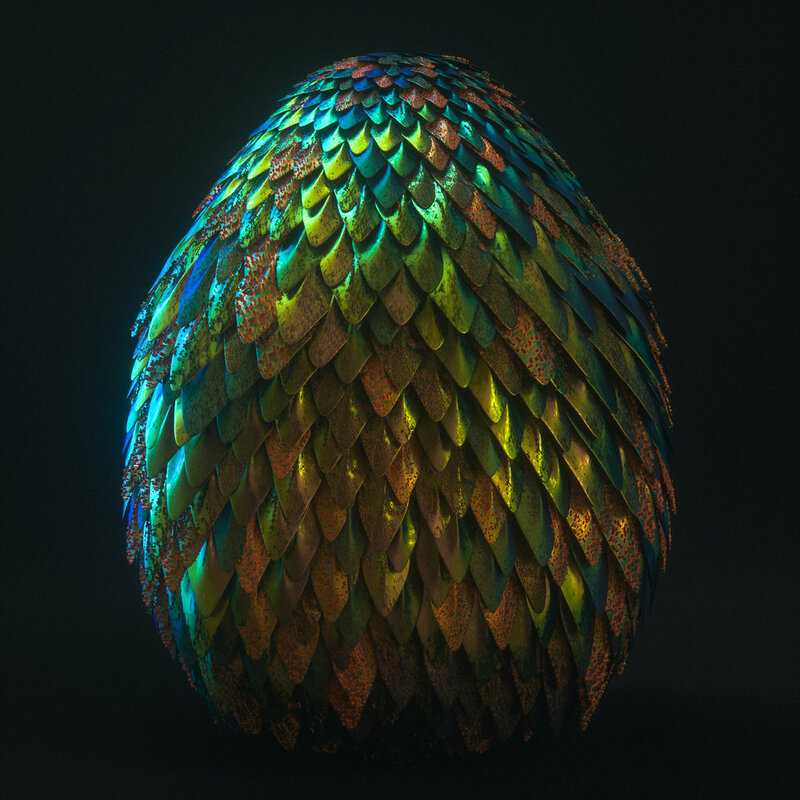 One egg was a deep green, with burnished bronze flecks that came and went depending on how Dany turned it. Another was pale cream streaked with gold. The last was black, as black as a midnight sea, yet alive with scarlet ripples and swirls."